WordPress has become an ultimate tool to show up your online presence and one great thing about wordpress is that you do not need much technical skills to develop your website. Also there are unlimited themes and plugins which are been developed day by day and with all that you can achieve the most desired look for you website. WordPress is not just for blogging, it is a CMS that can be used to develop any type of website. Whether it’s an organization, non-profit, e-commerce or small communities, it suits everyone’s needs. Most of the wordpress theme developers are specialized in developing a theme for particular category. For instance few focus on developing e-commerce website, few focus on developing blog themes and few focus on developing themes for organizations. So by focusing on a specific field they can add more functionality to that theme and they know the desires for that kind of people. We have seen that most wordpress themes were focused and mainly developed for trusts and religious organizations like churches and missionaries which we will share it here. So if you are designer or a member of the church or missionary who looking for a nice wordpress theme for your non-profit community then this list is for you. All the themes listed here are designed and compatible with all major browsers such as IE 7, 8, 9, 10, 11, Firefox, Chrome, Opera and Safari. 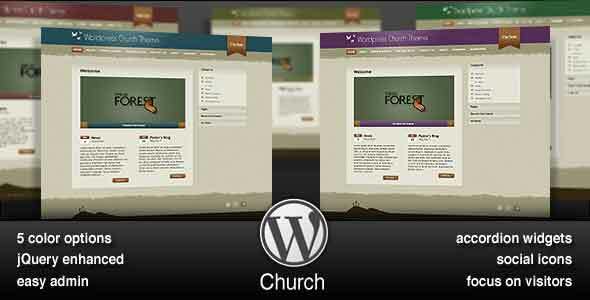 Here comes 50+ responsive wordpress themes for churches and missionaries. 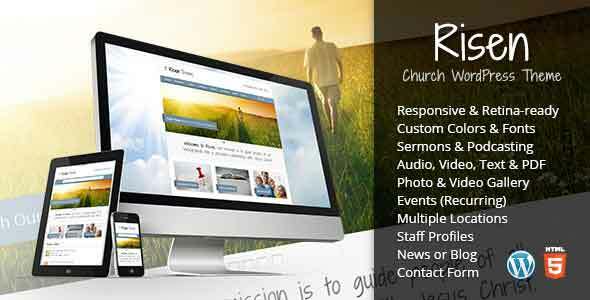 Risen – Church wordpress theme is a responsive theme that features everything that is needed for a church website. Some of the features are mobile friendly, retina ready, photo and video gallery, staff profiles, church news and built in speech pod-casting. Also it includes theme panel for customizing, documentation and video guides. 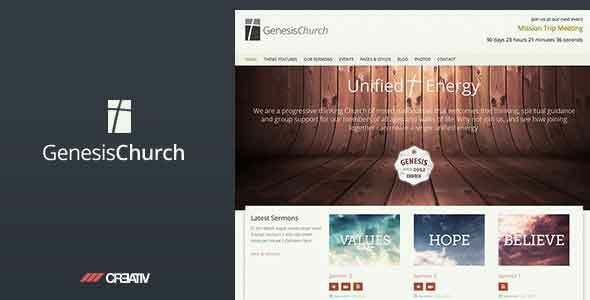 Genesis Church is also another best responsive theme that is mainly developed for religious organization. It is solid, easy to format and easily customizable wordpress theme. It includes short codes, buttons and you can add mp3 files, photo galleries and videos in to your theme. Easily create an event, sermons for everyone and much more. 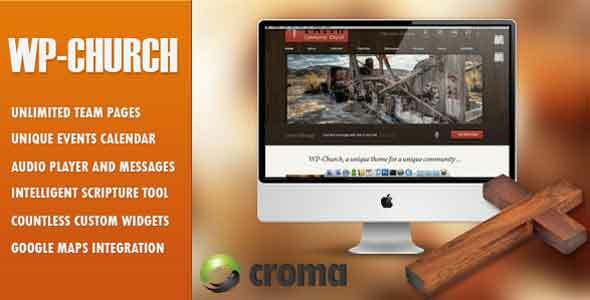 ChurcHope theme not only fits for churches, missionaries and non-profit organizations. It fits any kind of website and it is mobile friendly (responsive). Translation ready, short code ready and 400+ Google fonts support. It is easy to install, easily customizable, unlimited colors, organizers, content formatting, social interaction, events system testimonials etc. 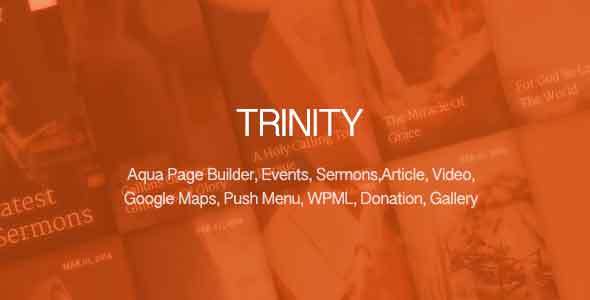 Trinity responsive wordpress theme is a nice looking theme for church and portfolios. It has many features like aqua page builder, sermon manager, events calendar, photo gallery, revolution slider, wpml Multi-language, mail chimp support for subscriptions and PayPal donations to receive donation to your trust. 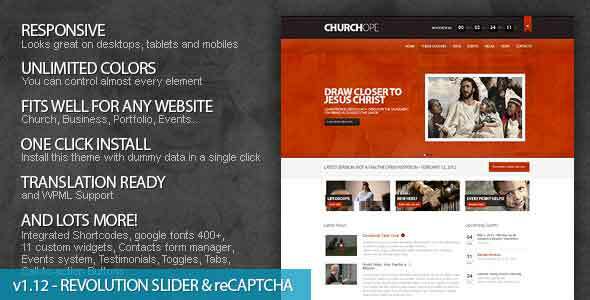 Church Life responsive theme is mainly developed for churches and missionaries. It comes with 100% responsive design, theme option panel, built in RTL support, light boxes, image slideshows and video slideshows. 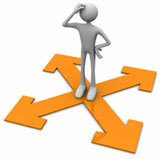 Some other features are sermons management, events management, advanced page builder etc. 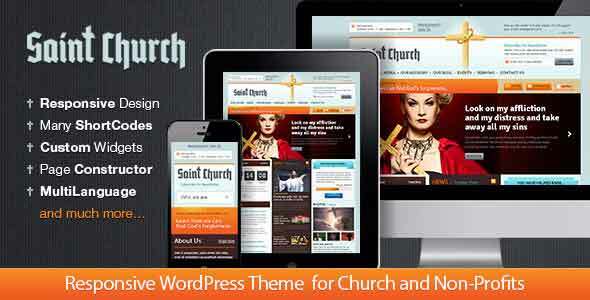 Saint church is an excellent responsive theme for trusts, non-profit organizations, missionaries and churches. 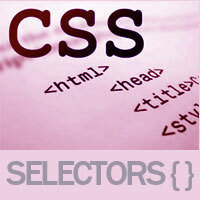 It includes page constructor which makes you to easily design the site layout. It includes multiple short codes, event count downs, donate feature, demo content, event management and much more. 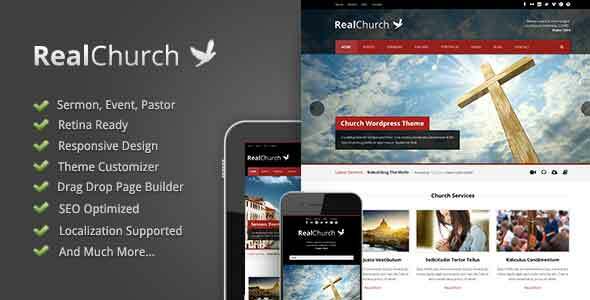 Real Church is a powerful wordpress theme that has many features. Some are pastor post type that features church pastors, sermon post type, event, time counter, retina ready, page builder and SEO optimized. If you are really looking for a church theme then this theme is for you. Blessing responsive theme is a high quality best-selling theme in envato marketplace. The main purpose of the theme is to well suit for websites like religious trusts, charity organizations, parishes, missionaries, and churches. It is well structured, good looking and comes with various functionalities like event calendar, mail subscriber etc. 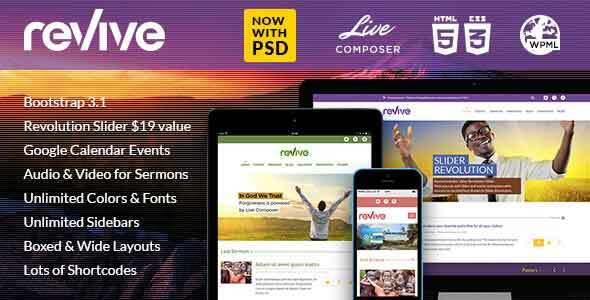 Reverence responsive HTML5 wordpress template is developed for nonprofits, religious organizations, charities and churches. This theme can also be used for blogs, creative websites and small business etc. It comes with 4+ columns, 500+ Google fonts, short codes, translations, widget ready, portfolios, mixed layouts, audio video slideshows and drag and drop item sorting. Nyx comes with 4+ columns, compatible with all browsers, high resolution and widget ready. 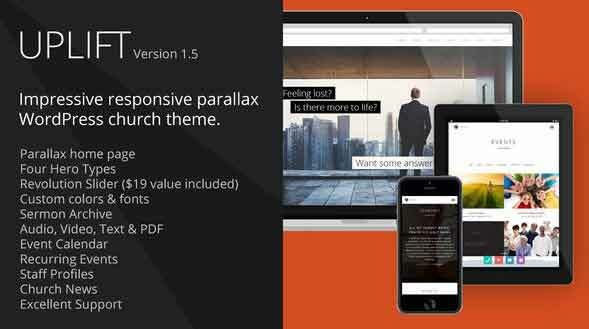 Some other features are it is responsive design that fits PC, tablet and mobile devices, full width slider, audio, video, PDF support for sermon module, 20 page templates and AJAX portfolio. Some widget are embedding maps, Flickr photo stream, Facebook fan page, upcoming events etc. 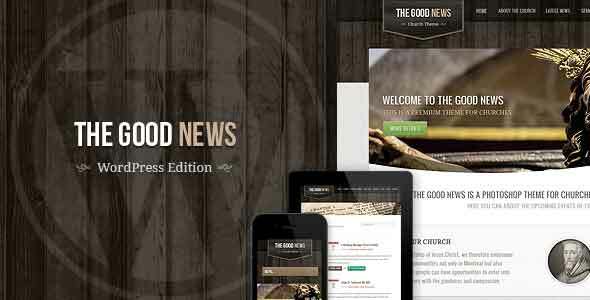 The Good News wordpress theme is responsive theme that is mainly designed for religious websites and churches, but the beauty is you can use it for any type of websites like charity spa etc. 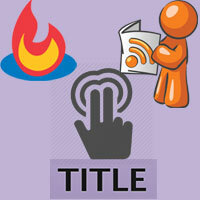 Main features are PSD files, events custom post type, sermon custom post type, media custom post type and templates. 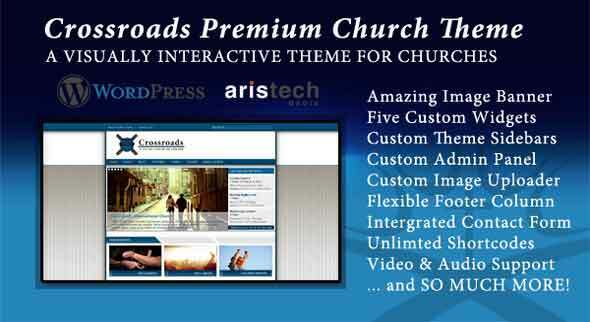 Cross roads is an beautiful theme for your church which is simple to use and it is completely flexible. Some of the key template features are cross browser compatible, blog page template, option banner sidebar, embedded Google maps, integrated contact form etc. This theme comes with full width slider, sidebar, footer and featured box for front page. 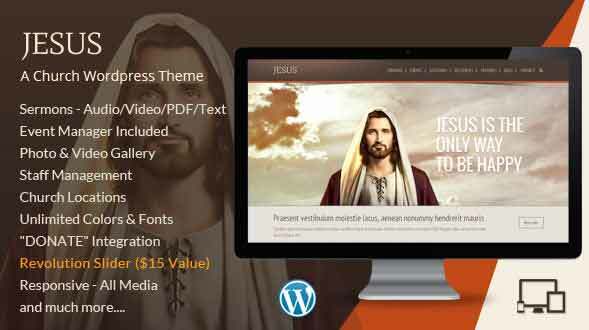 Jesus Church wordpress theme is mainly designed for churches. Some of the key features of this theme are responsive design, easy to customize, social media support, create sermons with video support, manage and display your staff members. 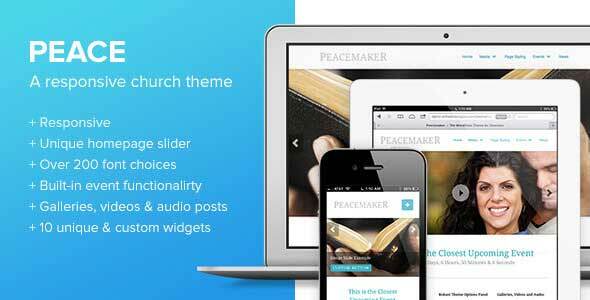 Peace is a 2 column responsive wordpress theme for churches and non-profit trusts. It comes with powerful homepage slider, audio posts, video galleries, event functionalities etc. You can also change the font styles, colors, header styles etc. 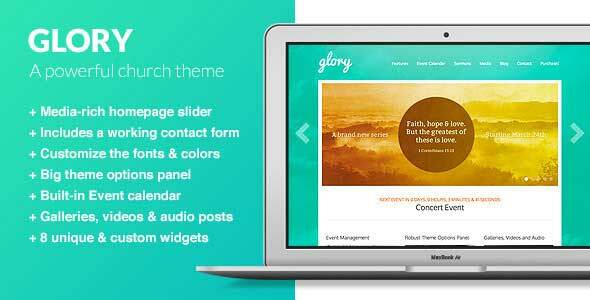 Glory is a powerful church theme that is aimed to make your church website a best one. It features event functionality, AJAX calendar, recurring events, easy homepage slider builder, custom widgets and huge admin panel. It comes with extensive documentation and layered PSD files for detailed customizations. 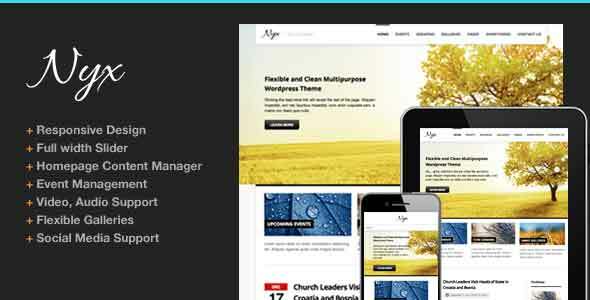 Uplift responsive theme by mojo themes is crafted to suit church websites. 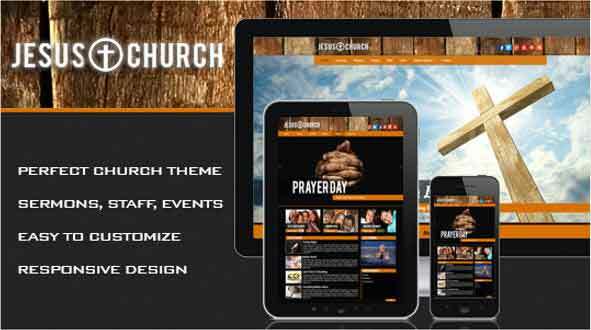 Features are mobile friendly, parallax scrolling homepage, church events calendar, sermon archive, church news and staff profiles. Your visitors can search for text, video and audio sermons by date, category, tag and speaker. It has a powerful customization option which definitely fits your church website. Utmost is pretty similar like the above one uplift. A beautiful mobile friendly theme that comes with unlimited sidebars, message archive, photo, video gallery, calendar, staff and news options. It is retina ready, customizable fonts and colors. Other than church it can also be used for non-profit company websites to promote events and to publish audio, video. 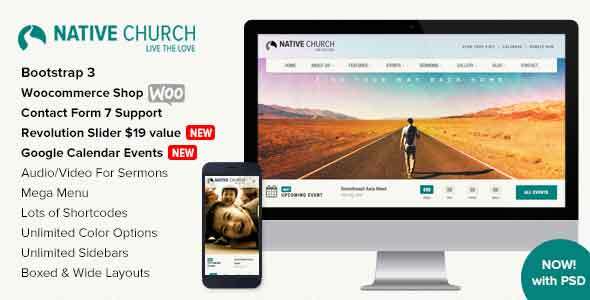 Another best responsive wordpress themes for churches, charities, missionaries and non profit organizations. Features included in this theme are photo & video gallery, sermon archive, church location, staff management, church events and donate integration. You can easily customize to get the professional appearance. Born wordpress, peacemaker wordpress theme, glory wordpress theme and rebirth wordpress theme are developed and designed by the same author aiming on churches and missions. 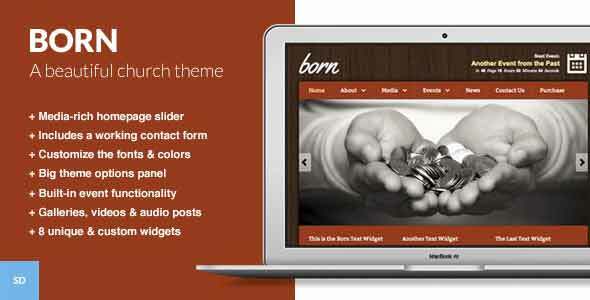 This born theme contains all the features required for a church website such as events, sermons and much more. 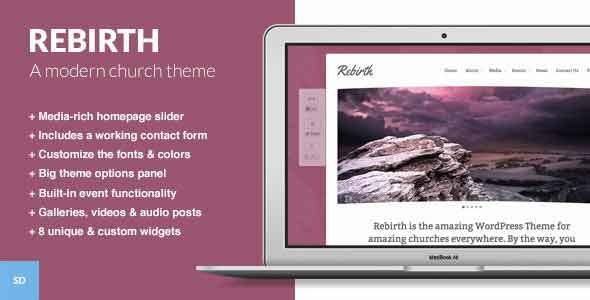 Rebirth is a modern church theme that features media rich home page slider, spam free contact form and customizable fonts and colors. It also includes big theme option panel, built in event functionality, galleries, videos and audio posts. It also consist of 8 unique and custom widgets. 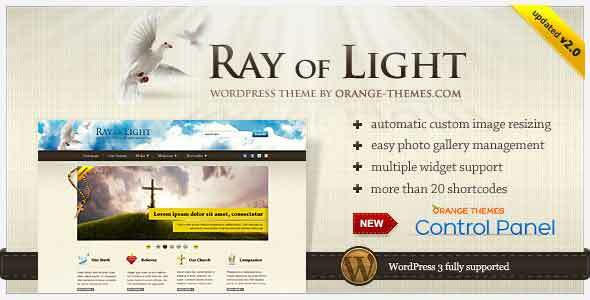 Ray of Light is a elegant looking church and religious movements theme. It includes orange theme control panel, beautiful and pixel perfect design and graphics, unique shortcodes and effective photo gallery. Some other features are easy photo gallery management, multiple widget support and automatic custom image resizing. 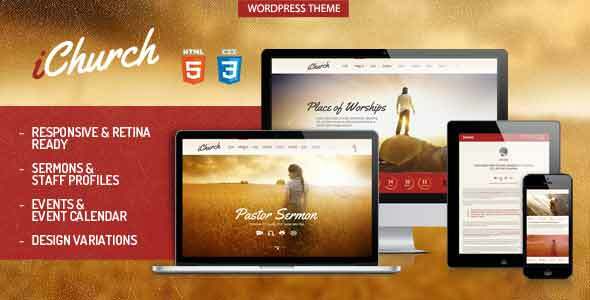 iChurch is responsive and retina ready wordpress theme intended only for religious websites. Features included are SEO optimized theme, picking up color variations, design variations, sermons & staff profiles and events & event calendar. 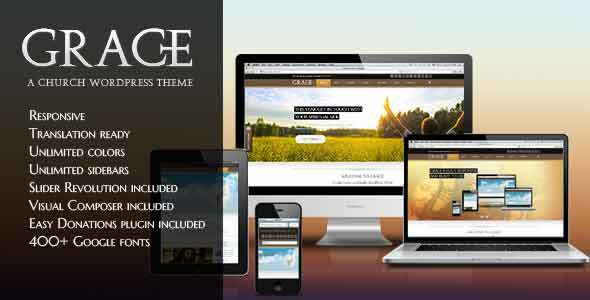 Grace is a beautiful premium wordpress theme build for religious communities and churches. It is developed with all that spiritual needs in mind and Grace is fully flexible. You can setup donation system in minutes, slider revolution included, visual composer included, advanced gallery portfolio options, highlight, events, churches, priests, sermons etc. 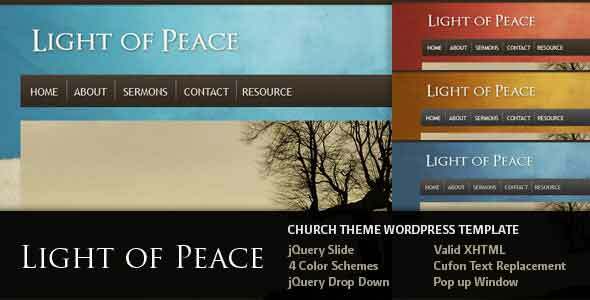 Light of peace is a 2 column non-profit church wordpress theme. Features included in this theme are multiple page templates, pop out window to display direction information and service times, j Query tabs, super fish menu, j Query image slider, Gravatar support, cufon text replacement, documentations and PDF’s. This theme looks like an actual church theme with tons of features. It includes news & events, pastor’s blog page, Im new banner, tool tips, social bookmarks, sharing posts, articles and Twitter bookmarks that automatically generate a tiny URL. You can also promote the church RSS Twitter and Facebook profile, doves in header and footer, PSD included and much more. 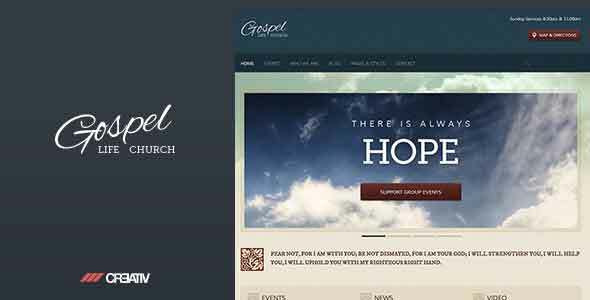 Gospel theme is crafted mainly for religious based institutions who is looking for a clean, customizable, fully packed wordpress theme. It consist all the latest feature of wordpress and also it is SEO optimized. Features are event scheduler, homepage and gallery slider with touch enabled, Twitter feed, social icon integration and light box for galleries. 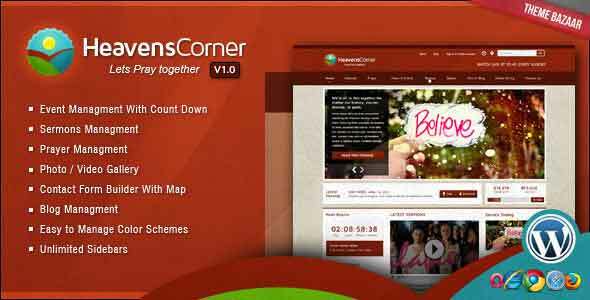 Heavens corner is a clean looking elegant theme which is only for non-profit organizations, NGOs, churches and missionaries. 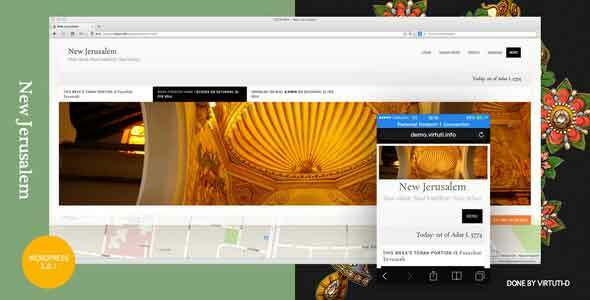 This theme works in all major web browsers and here comes it features. 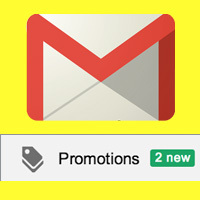 Events management, sermons management, event count down widget, Google maps for events, donation widget, Google advertisements, image and video gallery. 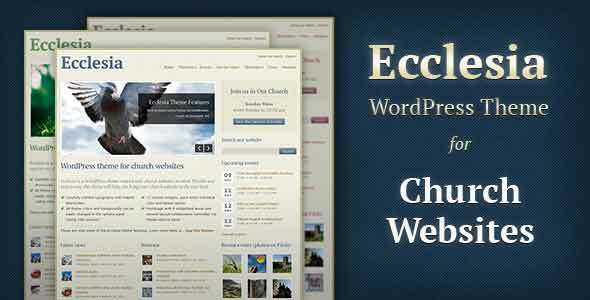 Ecclesia is a flexible, easy to use wordpress theme that will bring your church website to the next level. 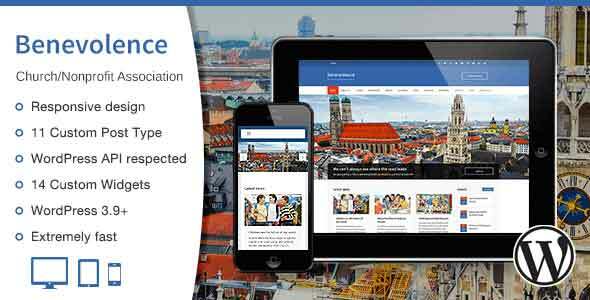 Main features of Ecclesia wordpress theme are events manager, flexible front page layout, jQuery slider, 18 custom widgets, typography options, AJAX contact form, theme option panel, documentation etc. 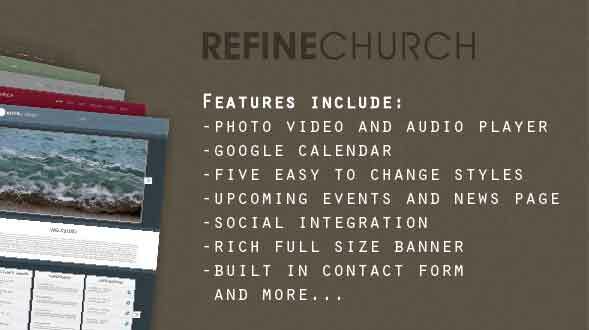 Refine Church wordpress theme comes with tons of options such as option panel, custom widgets etc. It fits all your church needs that is you can add service times, hours of operations, web-cast, homepage images and more. Also with this theme you can manage videos, podcast, news, ministries and events. 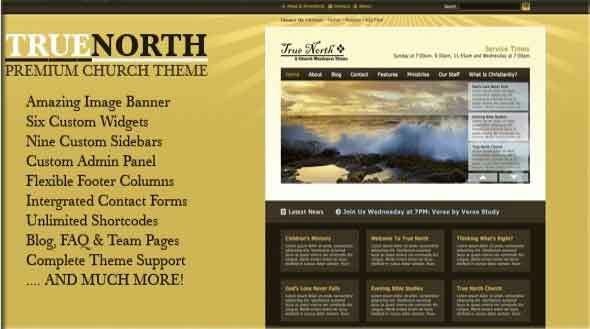 True North, a premium church wordpress theme that is flexible and powerful. It is built specifically for small and medium sized churches which makes you to easily manage your website. It has several features like displaying upcoming services, social networks, contact info, operation time and much more. 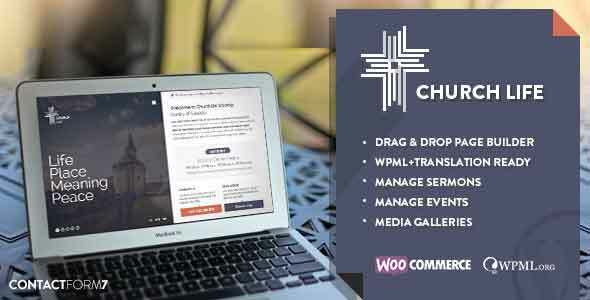 If you are searching for a powerful, responsive, fully customizable, functional wordpress theme for your church then this is it. This theme best suits for churches, non-profit associations, non-profit organizations, religious communities and foundations. It includes church specific features like sermons, ministries, photo galleries, news, sponsors, projects and events. 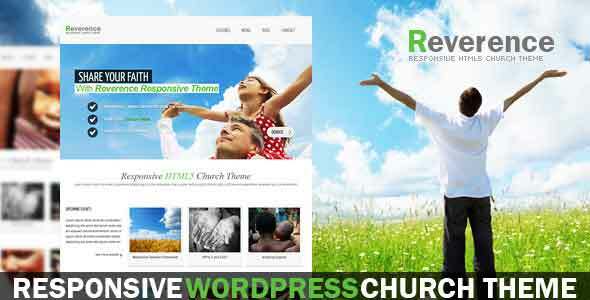 Revive is an excellent 4 column charity and church wordpress theme that is completely responsive. The main advantage of this theme is live composer and it revolution slider which is worth 19$. Some other features are bootstrap 3.1, Google calendar events, audio video sermons, unlimited sidebars, boxed and wide screen layouts. 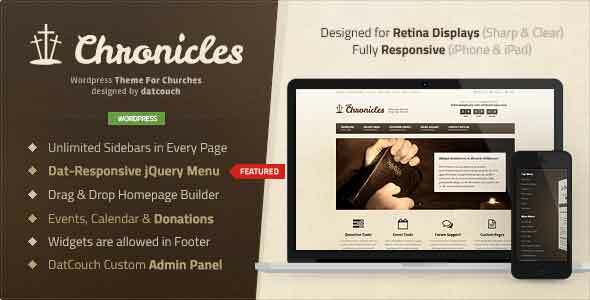 Chronicles is a comfy wordpress theme by dot church. It is retina ready and comes with a responsive design. It has unlimited sidebars in every page, responsive jQuery menu, homepage builder, events, calendar and donation options. Also you can choose from 630+ Google fonts. 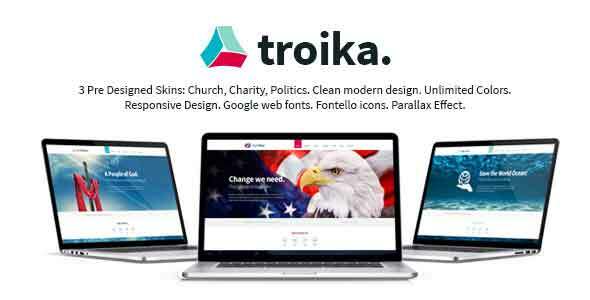 Troika is a 4+ column wordpress theme that comes with 3 pre designed skins such as church, charity and politics. It has a clear modern responsive design that has Google fonts, Fontello icons and parallax effects. 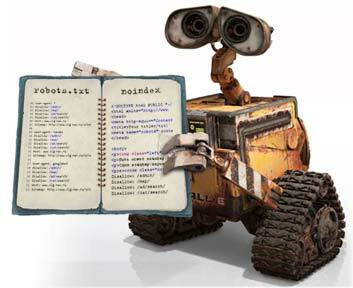 It is SEO ready as well as it includes localize po and mo files. 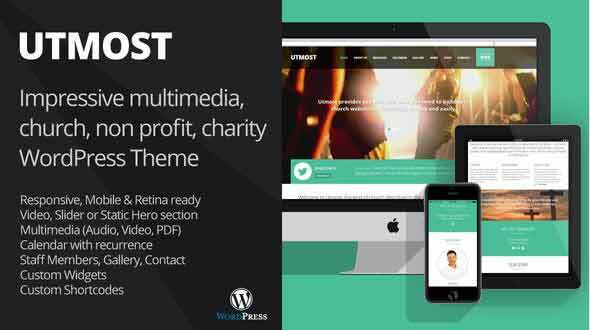 It is simply a responsive wordpress theme designed for NGOs, ministries, churches and charities. This theme offers you an admin panel to powerfully customize the theme. It has 30+ different page layouts, sermon manager (sermon support for PDF, audio, video links), shortcode builder, Multilingual and Woo-commerce support. 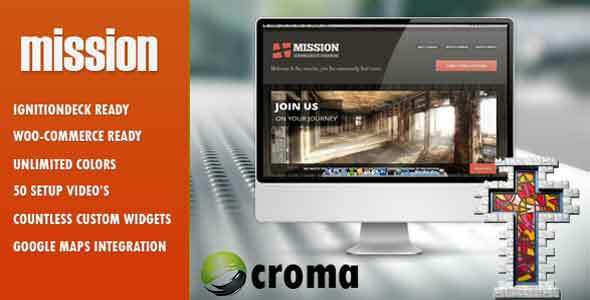 This theme is only for religious websites like non-profit, charity, churches and missionaries. It is fully responsive based on Twitter bootstrap 3.0 framework. It includes Woocommerce shop, contact form 7 support, revolution slider worth19$, Google calendar events, audio video for sermons, unlimited sidebars and lots of shortcodes. It’s a clean and minimal theme for church that comes with rich admin panel to easily setup the theme. You can select from 25+ different page layouts such as staff, blog page, sermon list, events, schedules page, details page, gallery, buddy press forum etc. It is suitable for politician, charity, social activists, NGO, Fund raiser, church and any sort of community and religion. 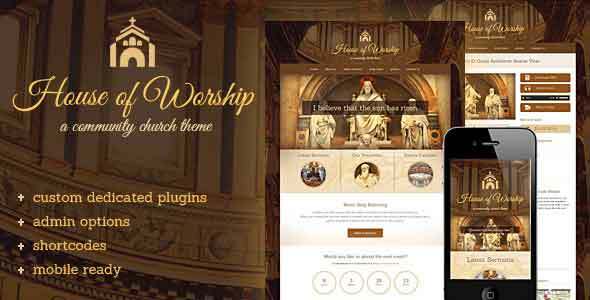 House of worship is a community church theme for sermons, churches, preachers and religious communities. This theme contains admin panel and dedicated plugins. With custom sermons plugin you can easily create pages for preachers, sermons, audio, video and PDF support. Church and Event is best for any type of people whether a high end developer or a newbie to wordpress. It is not only build for churches; you can use it for charity, environmental, agency, law, nonprofit, hosting, medical, political, parallax, spa, activist, cause, business, shop and gym. It has several add-ons like filter bar, community events and event calendar pro. 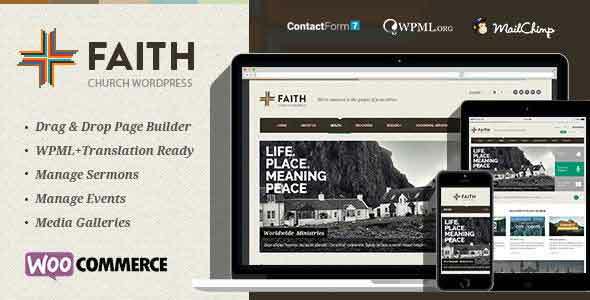 Faith is a multipurpose wordpress theme in which can be used for magazines, blogs, business and creative portfolios. You can easily customize the style, color and layout. Features included are sermon management, events management, advanced page builder, translation/WPML ready, unlimited sidebars and Woo Commerce ready. 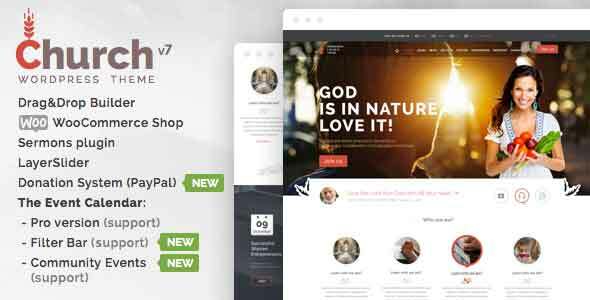 First of all forgive church theme includes 148$ worth plugins that are visual composer, slider revolution and Envira gallery. It also supports woo commerce for setting up a own store, integrates event calendar pro, gravity forms, exclusive blur slider and contact form 7. New Jerusalem is a theme suitable for synagogue websites with slight traditional touch and clear modern design. In this theme you can create sections like educational programs, holiday calendars, staff profiles, prayers, photo galleries and written sermons. Kause is an ultimate wordpress theme that is completely flexible and best suitable for sporting clubs, nonprofit organizations, churches, charities and missionaries. It has 100% responsiveness, retina ready, easy admin panel, brand control, 600+ fonts, advanced plugins, custom widgets, media embeds, folio, galleries and online stores. A multipurpose wordpress theme can be used on blogs, portfolios, magazines and creative websites. It is 100% responsive made with HTML5 and CSS3, contains 10+ beautifully designed homepage layouts, WPML plugin ready, form plugin options and contact form 7 plugin. This Evangelist church wordpress theme is developed with prayer group, church and charity websites in mind. A best suitable for church websites which is responsive, SEO optimized, built in event calendar, Google custom fonts and build in page templates such as About us, donate, FAQ, gallery and blog. Mission is another best church theme that offers everything that is needed for a church website such as podcast, calendars, funding and mission aims. It has everything a church would need, it has millions of color combinations, unleash the power of crowd funding, commerce enabled, podcasting heaven and all in all it’s a responsive design. 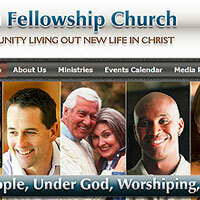 The church responsive theme includes free Facebook page layout. The primary features are events calendar management, prayer wall and donation meter. It has a page builder, RTL support (for Arabic, Hebrew), layout slider, sermons and custom Google fonts. Belief theme is developed by cosmo themes that is intended to power up religious communities, non-profits, charity and church websites. It is a responsive wordpress theme that contains drag and drop template builder, multiple layouts such as timeline view, grid view, list view, thumbnail view and masonry view. You can also add tool tip helpers and Facebook comments. 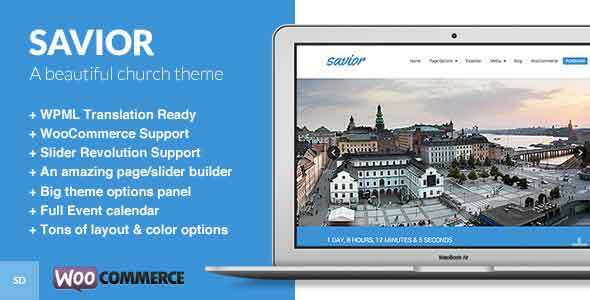 Savor is an user friendly best theme for Churches. You can choose between dark and light styles, lots of page layout options are available and build in event calendar with recurring events in added. 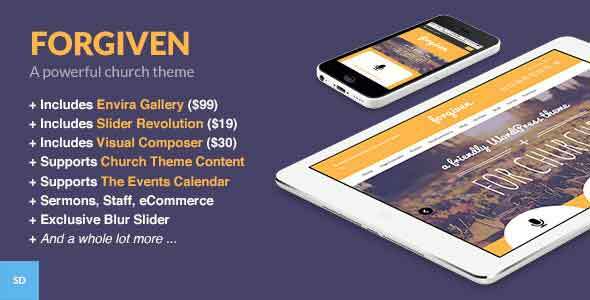 It features a slider builder and more in all it is a responsive theme. Incarnation comes with the tools to build unique layouts right out of your backend in minutes. It is a beautiful 4+ column responsive theme that features translation ready po/ mo files, audio video sermons, event calendar to organize your church events, WPML plugin, custom widgets like Twitter + RSS followers count etc. 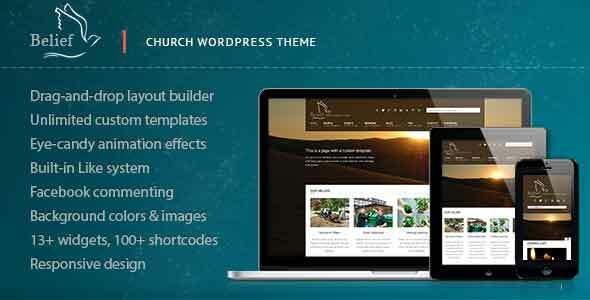 Wp-Church theme is premium theme built on highly intelligent frame work. It features Robust administration panel, configurable slideshow, Google maps with street view and directions, custom build sermon gallery, custom widgets, newsletter subscription widget, Team page and Amazon customer service. 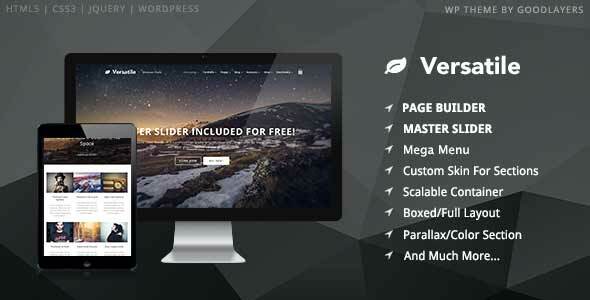 Versatile, a clean responsive and a multi-purpose wordpress theme that is easy to customize. It can be used for Churches, schools, creative agencies, lawyers and blogs. Some of the features are solid & transparent header, boxed / full layout, easy demo importer, master slider, limitless page builder, advanced admin panel, parallax section, WPML ready and woo commerce support. 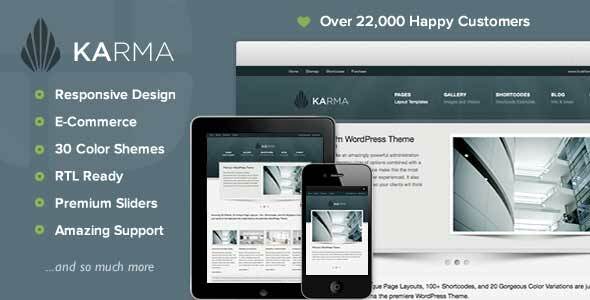 Karma is a featured product and top selling theme in theme forest. It is a multipurpose theme that supports E-commerce and can also be used for churches. It is SEO optimized, it has 13 languages support, has powerful admin panel, RTL ready, advanced design options, form builder, 360+ vector icons and ubermenu. 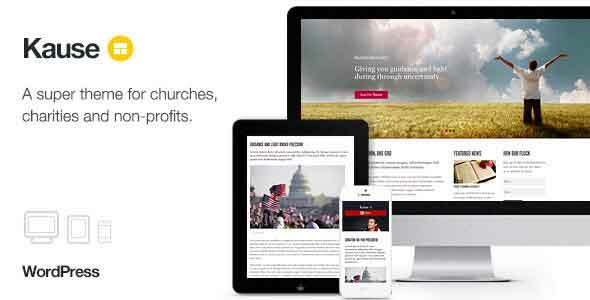 Hope this 50 responsive wordpress themes for churches and missionaries will suit your website. 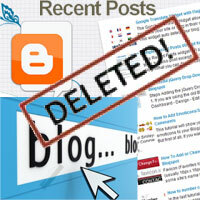 Soon we will update a new list of wordpress themes.